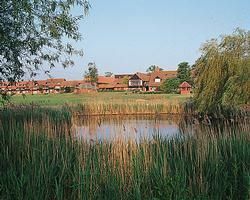 Join the thousands of happy vacationers when you buy a Barnham Broom Golf and Country Club timeshare! With such a spectacular resort, buyers are generally surprised at how affordable it is to buy resale through BuyATimeshare.com. 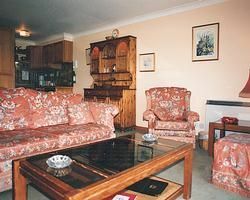 We work with the owners to get you the best prices, and can save you literally thousands over resort pricing. Barnham Broom Resort and Country Club features luxurious modern accommodation and traditional warm, friendly atmosphere has helped to make this resort one of the most popular places to stay in England. Each of the 46 units and suites are well designed and understated, many with four poster beds or a golf course view. Any guest of this Diamond Resort has full access to the leisure and fitness facilities, including the sparkling pool, sauna and aromatherapy steam room, fitness equipment, squash and tennis courts. When its time to relax, professional therapists work their magic with the help of luxury oils and creams, designed to pamper your body and soothe your senses at the world-renouned spa. Choose from our vast array of treatments - from aromatherapy massage to invigorating salt and oil scrub, from moisturising body wraps to regenerating facials. And who could forget the golf-two beautiful 18 hole championship courses with their contrasting characters offer golfers exciting challenges. For your next upscale, luxurious, and relaxing vacation, the Barnham Broom Resort and Country Club is the obvious choice! Our user friendly website makes it easy to search for your desired property, and our friendly professional staff will be happy to answer any questions you might have about the resort and buying process. Once you have found what you are looking for, we make it easy by referring you to timeshare financing and a closing company to handle the transfer of ownership. So don't delay, buy a Barnham Broom Golf and Country Club timeshare today and start your years of happy vacationing! Contact Barnham Broome Golf and Country Club Specialist Today!